Sturgeon Class Attack Submarine: Laid down, 29 November 1965, at Newport News Shipbuilding and Drydock Co., Newport News, VA.: Launched, 14 April 1967; Commissioned, USS Hammerhead (SSN-663), 28 June 1968; Decommissioned and simultaneously struck from the Naval Register, 5 April 1995; Final Disposition, disposed of through the NPSSRP (Nuclear Powered Ship and Submarine Recycling Program) at Puget Sound Naval Shipyard, Bremerton, WA., 22 November 1995. 301k The clock ticks off as the crowd is addressed before the Hammerhead (SSN-663) is launched at Newport News on 14 April 1967. Newport News Shipbuilding photo courtesy of S. Dale Hargrave. 278k Mrs. O. Clark Fisher, wife of Congressman Fisher of Texas sponsor of the Hammerhead (SSN-663) at Newport News on 14 April 1967. Newport News Shipbuilding photo courtesy of S. Dale Hargrave. 333k Hammerhead (SSN-663) starts her slide down the ways at Newport News on 14 April 1967. Newport News Shipbuilding photo courtesy of S. Dale Hargrave. 309k Hammerhead (SSN-663) officers, crew and workmen aboard salute as she slides down the ways at Newport News on 14 April 1967. Newport News Shipbuilding photo courtesy of S. Dale Hargrave. 258k The launch of the Hammerhead (SSN-663) at Newport News on 14 April 1967. USN photo courtesy of Darryl L. Baker. 572k Pre commissioning photo of the Hammerhead (SSN-663) on 6 June 1968. USN photo NPC 113288 courtesy of Scott Koen & ussnewyork.com. 39k The Hammerhead (SSN-663) approaching Faslane Naval Base on the Gareloch, Scotland, September 1969. Photo courtesy of battleships-cruisers.co.uk. 60k Commemorative postal cover issued on the occasion of the Hammerhead's (SSN-663) Polar cruise, 20 November 1970. Courtesy of Jack Treutle (of blessed memory). 16k Commemorative post mark on the occasion of Hammerhead (SSN-663) at the North Polar, 20 November 1970. Photo courtesy of Jack Treutle (of blessed memory). 89k The sail of the Hammerhead (SSN-663) pokes through the Polar ice, 20 November 1970. USN photo courtesy of Arctic Submarine Laboratory. 90k Sea Devil (SSN-664), Hammerhead (SSN-663) and Ray (SSN-653), three Sturgeon-class (SSN-637) subs at pier 22, Norfolk VA. 1975. Sub tender LY Spear (AS-36) is on the starboard side of the Sea Devil. Courtesy of John Hummel, USN (Retired). 167k Commander Virgil L. Hill, Jr. was the commanding officer of the Hammerhead (SSN-663) from 17 April 1976 to May 1980. USN photo courtesy of Bill Gonyo. 42k CDR H. J. Halliday, Commanding Officer of the Hammerhead (SSN-663) and MMCM W. R. Evermon, Chief of Boat are pictured during the welcoming ceremony of the ship at Mare Island on 28 February 1985. USN photo # MSA 206768-2-85, courtesy of Darryl L. Baker. 61k Mr. James McClary, President Superintendents Association, introducing the acting Shipyard Command at the welcoming ceremony for the Hammerhead (SSN-663), 28 February 1985. USN photo # MSA 206773-2-85, courtesy of Darryl L. Baker. 61k Capt Peter Bowman, Acting Shipyard Commander, address the crowd at the welcoming ceremony of the Hammerhead (SSN-663) at Mare Island on 28 February 1985. USN photo # MSA 206771-2-85, courtesy of Darryl L. Baker. 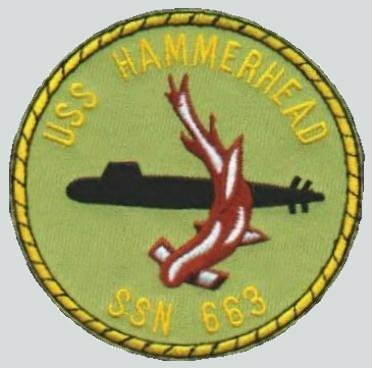 3.37k Hammerhead (SSN-663) welcome aboard pamphlet circa 1985. PDF courtesy of Darryl L. Baker. 247k Hammerhead (SSN-663) is seen dry dock #1 at Mare Island during her overhaul in October 1985. The blue object at the head of the dock is her sonar dome. USN photo # 211107, courtesy of Darryl L. Baker. 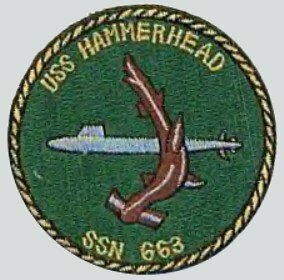 57k The new and old Commanding Officer of the Hammerhead (SSN-663) on 5 August 1987. Left to right: CDR James L. Durham, New Commanding Officer; Mrs. James L. Durham; CDR H. J. Halliday, Jr., Relieved Commanding Officer; and Mrs. H. J. Halliday. USN photo # MSA 222418-8-87, courtesy of Darryl L. Baker. 80k The crew of the Hammerhead (SSN-663) is muster on the pier for the welcoming ceremony at Mare Island on 28 February 1985. She was in overhaul at Mare Island form 1 March 1985 until 13 August 1987. USN photo # MSA 206756-2-85, courtesy of Darryl L. Baker. 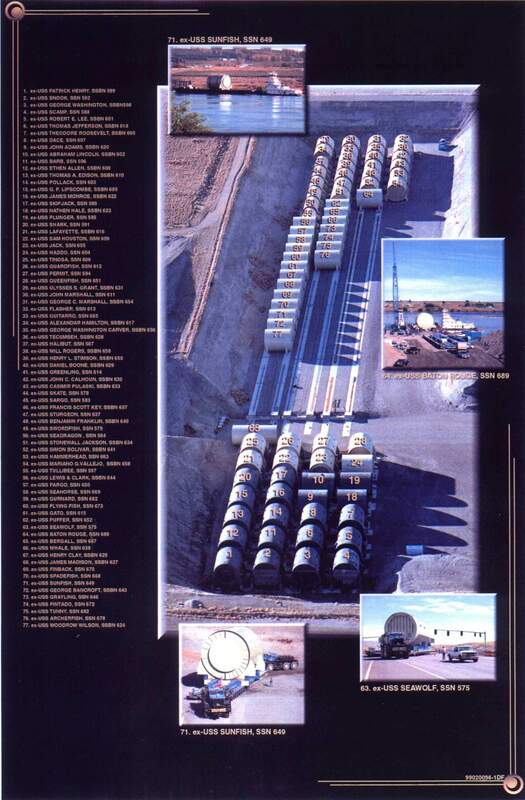 1.13k Ten page PDF Welcome Aboard Hammerhead (SSN-663), circa 1990. PDF courtesy of Scott Koen & ussnewyork.com. 61k Starboard quarter view of the Hammerhead (SSN-663) underway, date unknown. USN photo. 252k Hammerhead (SSN-663) underway, date and place unknown. USN photo courtesy of Darryl L. Baker. 318k A SH-3 Sea King Helicopter from Anti-submarine Squadron 5 (HS-5) flies over the nuclear-powered attack submarine Hammerhead (SSN-663) as it prepares to deliver a gift from the commanding officer of the nuclear-powered aircraft carrier George Washington (CVN-73) to the Hammerhead's crew on 13 September 1992. Official USN photo # DN-ST-93-00614 by PH2 John K. Sokolowski, from the Department of Defense Still Media Collection, courtesy of dodmedia.osd.mil & submitted by Bill Gonyo. 124k The nuclear-powered attack submarine Hammerhead (SSN-663) travels alongside the nuclear-powered aircraft carrier George Washington (CVN-73) on 13 September 1992. Official USN photo # DN-ST-93-00618 by PH2 John K. Sokolowski, from the Department of Defense Still Media Collection, courtesy of dodmedia.osd.mil. 379k A HS-5 squadron attached to the George Washington (CVN-73) delivers a ceremonial package of Cherry Pies to the Hammerhead (SSN-663) celebrating the carrier's first vertical replenishment with a submarine. Official USN photograph & text by PH2 John K. Sokolowski. 402k Crew members gather near the sail aboard the nuclear-powered attack submarine Hammerhead (SSN-663) tied to the pier at Port everglades, Florida on 25 September 1993. Official USN photo # DN-SC-94-00434 by OS2 John Bouvia, from the Department of Defense Still Media Collection, courtesy of dodmedia.osd.mil & submitted by Bill Gonyo. 419k A starboard bow view of the nuclear-powered attack submarine Hammerhead (SSN-663) tied to the pier. Official USN photo # DN-SC-94-00432 by OS2 John Bouvia, from the Department of Defense Still Media Collection, courtesy of dodmedia.osd.mil & submitted by Bill Gonyo. 26k Commemorative post mark issued on the occasion of Stonewall Jackson (SSBN-634), Mariano G. Vallejo (SSBN-658) , Simon Bolivar (SSBN-641), and Hammerhead (SSN-663), at Puget Sound Naval Shipyard, entering Dry Dock No. 4 for scrapping 8 November 1994. Courtesy of Jack Treutle (of blessed memory).